Metal Sign Supplies For Sale In Bulk! These Sign Supplies Meet the Needs of Every Business! 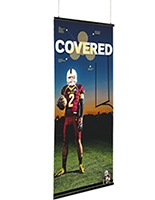 In Stock Vinyl Banner Rails and Wholesale Sign Equipment! 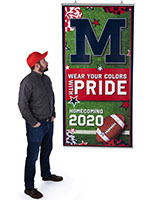 Don't have a lot of wall space to display poster signs? These sign supplies don't need wall space. 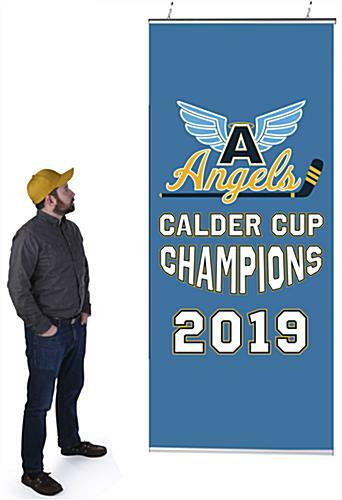 They suspend your favorite advertising posters from the ceiling! 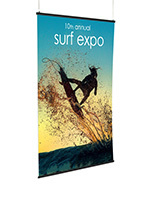 Available in a variety of sizes, these sign supplies are the ideal way to present poster advertising. 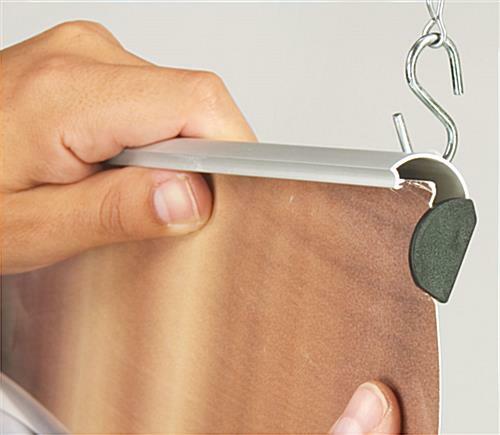 The durable snap-frame poster holders make it easy to insert and remove posters. Just snap open the top and bottom rails and insert the poster. Once the poster is in place, simply close the snap frames. 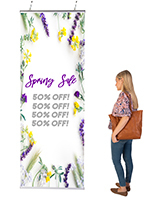 These sign supplies, also known as vinyl banner rails, are the affordable way to advertise. 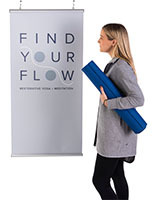 Use only one or strategically place several within your showroom space or at a cash register. 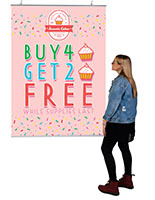 These sign supplies sized for 30" wide posters and banners hold just about any length poster! 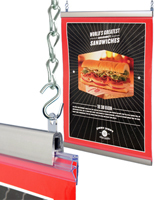 These sign supplies, sign making equipment, feature a top snap rail engineered with two plastic clips to which chain or cording is attached, as well as the bottom snap rail that helps to keep the displayed poster flat. 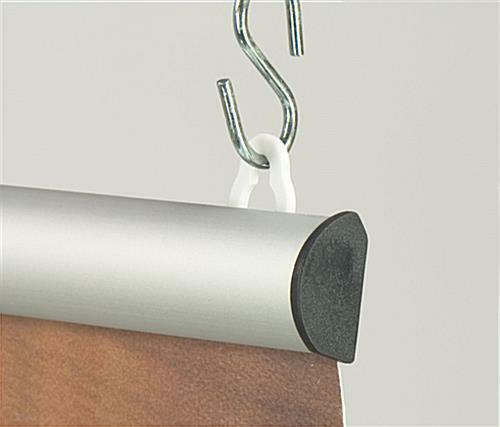 Buy wholesale sign supplies in bulk now! Dimensions of each hanger: 30" wide x 1" tall x 5/8" deep.